Possible owner financing! You simply will not believe how much space this home has! 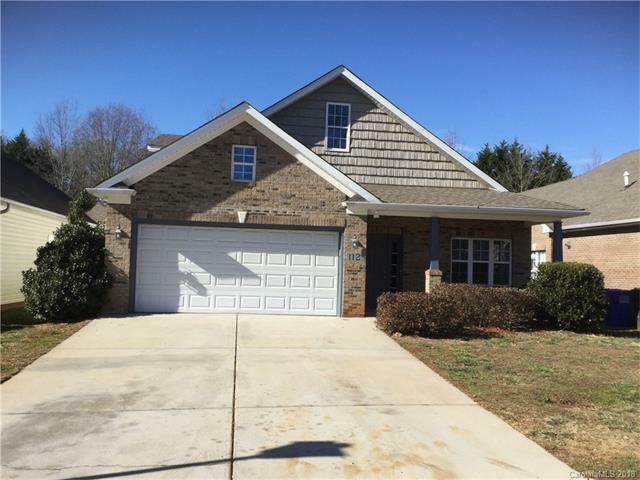 This home is adorable and only 2 mile off I-77.. Freshly painted with new carpet and padding!! Granite countertops, stone faced gas FP, tile and wood floors, and tons of upgrades!! This newer 4 bedroom 3 full bath home has energy star features: like a tankless water heater, dual fuel 94% efficient heat pump & spray in foam insulation! Laundry & huge master on main, (will accommodate a California King and furniture) vaulted GR open to 2nd level, formal DR AND breakfast nook, large kitchen with pantry and desk, & 2 BR's upstairs with 3rd full bath. 2 car garage is finished, and home has a covered back patio and MB access! Hard to find large temperate attic area for storage upstairs. 1/2 mile community walking trail around neighborhood too. Road damaged by construction traffic to be fixed by HOA this spring.